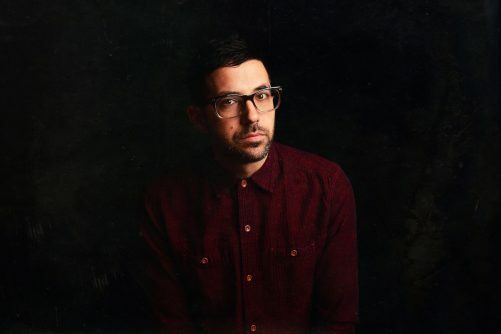 Mark Guiliana is arguably one of the most respected drummers in contemporary music, having won the 2018 readers poll in Modern Drummer Magazine’s jazz category and toured the world specifically to educate and enlighten, through drum clinics and masterclasses. But skill alone doesn’t maketh the artist: Guiliana has established several groups, each with a distinct and compelling sound, written some astonishing instrumental music and collaborated with a host of inspirational artists such as Me’shell Ndegeocello and David Bowie. His jazz quartet, featuring saxophonist Jason Rigby, bassist Chris Morrissey and pianist Fabian Almazan is one which continues to garner widespread acclaim. They prove that, almost 60 years on from the recording of some of contemporary jazz’s greatest albums, progressions can still be made within the acoustic quartet framework, providing that the compositions and performers realising them, are of the utmost quality. It was our pleasure to catch up with Mark ahead of his return to Band on the Wall with the jazz quartet in April. We began by discussing how Blackstar, the final David Bowie album, affected the relationship he has with those who joined him in creating it, before discussing collaboration and the quartet. You’ve just completed a short residency in New York with Donny McCaslin’s group. Does playing with Donny, Jason and Tim still elicit memories of the Blackstar sessions and do you believe that the project has been enough to galvanise the band for many years to come? Your collaboration with David has proven to be a gift that keeps on giving, both creatively and tangibly. Can you tell us more about the inspiration behind your decision to majestically rework his composition Where Are We Now? at the end of Jersey and also the beautiful commemorative plaque you recently received in relation to the Blackstar LP? You’ve collaborated with the likes of Brad Mehldau, Gretchen Parlato and Avishai Cohen previously. Have you any other collaborative projects in the pipeline and having recently crossed paths with fellow drummer Antonio Sanchez, could you envisage to two of you ever working together or exchanging musical ideas? Shortly after releasing Family First you and the band shared a companion disc of alternate takes. Assuming you weren’t dissatisfied with the original album takes, did you feel you had more to say with compositions like ABED and The Importance of Brothers and expanding on that, do you feel like compositions are truly finished or always open to reinterpretation? The synchronicity yourself and Chris achieve on the track One Month is a prime example of your musical relationship and respective talent. For the non-musical listener, what goes into achieving those results – is it simply a case of memorising the sequence and hoping you lock together or is it more to do with your focus and preparation to play in any given moment? Experimentation is important to you and presumably important to your bandmates as well. That said, could you envisage yourself, Chris, Fabian and Jason ever gravitating away from the acoustic style that has defined the jazz quartet, or do you feel it will always be the bedrock of your work together?